Nicholas Clark found all the ingredients of a great education at Tidewater Community College. Now at the age 30, he is managing partner of The Butcher’s Son, a thriving five-star eatery in Chesapeake. Walking into the place, you feel as if you stepped back in time thanks to the retro booths, butcher block tables, cement floors and exposed ceilings. The style is “casual select” and the food is “never ever,” meaning hormone free, antibiotic free and humanely raised. The community continues to embrace the place. One year after opening, the restaurant is preparing to go to reservations-only for peak times. Interestingly, Clark’s path to a culinary career was almost a non-starter. When he came to TCC, he was studying psychology. His mom saw an article about Chef Don Averso, TCC’s culinary arts program head, and encouraged him to take a culinary course or two. “I’m so glad I tried it because it got me to pursue the culinary field long-term, instead of something I wasn’t really excited about,” Clark said. Clark studied culinary arts under the tutelage of Averso, where he learned to cook a variety of cuisines along with kitchen management skills and food ordering. “TCC gave me a firm foundation and the classes were hands-on and very informative. I liked that all of my professors worked in the field, so they brought real-world know-how to the kitchen. That helped me develop my professionalism and set me on a course for this career,” Clark said. Established in 1996, TCC’s culinary arts department is accredited by the American Culinary Association. More than 200 full-time and 340 part-time students pursue culinary arts at TCC every year. “From the start, Nick exhibited outstanding qualities both as a student and a potential chef. His work ethic, attention to detail, willingness to work in a team environment, interpersonal skills and leadership abilities were very apparent,” Averso said. After his externship, Clark returned to Virginia Beach to work at Hell’s Kitchen on the Bay. It was there that he met mentor Brian Radford, the primary owner of The Butcher’s Son. 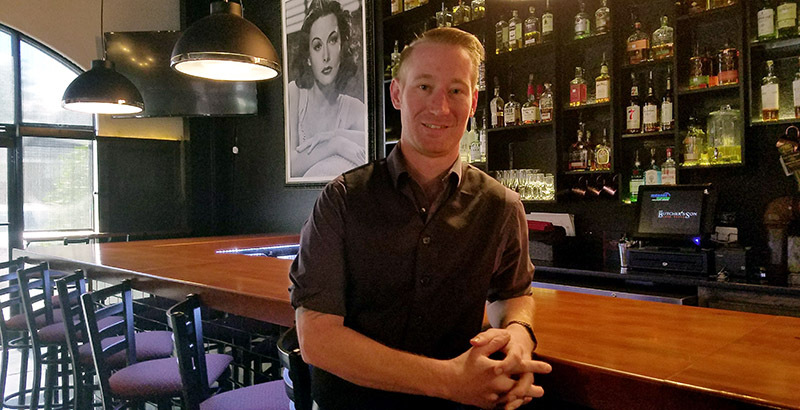 Five months later, at 21, he was managing the kitchen and beginning the journey of helping Radford open other restaurants. The duo will open another Butcher’s Son soon in the Hilltop area of Virginia Beach.